The festival of colors in the white topaz and cubic zirconia gemstones, brought to you exclusively by Apples of Gold makes a unique gift idea. This sparkling diamond cut white topaz and cubic zirconia ring is set in stunning sterling silver. 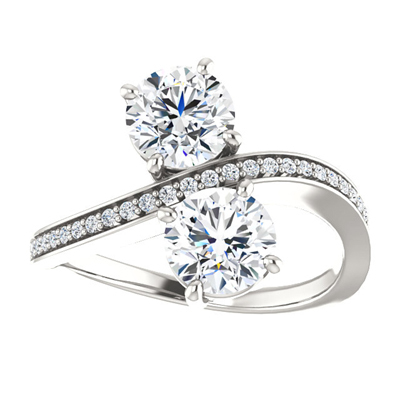 This lovely ring measures 6mm with a total carat weight of 0.13 is available for you today. We guarantee our White Topaz and CZ Two Stone Ring in Sterling Silver to be high quality, authentic jewelry, as described above.